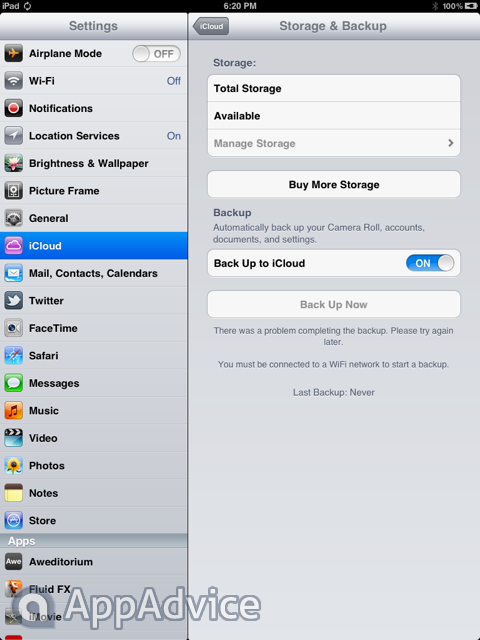 Folks, developers who already put their hand on iOS 5 have just informed us that you will indeed be able to buy additional cloud storage on the iPad if you wish to do so. That's good news, as the 5GB offered by Apple might not be enough for some power users, despite the fact that Apple doesn't count iOS backups and purchased music against that limit. We don't have the details yet on pricing, as the feature apparently responds with an error. As usual, we'll keep you posted.